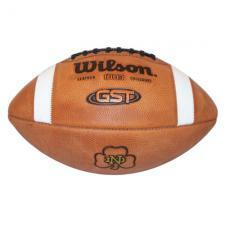 Notre Dame Football GST College Game Model by Wilson | Sports Memorabilia! Notre Dame Fighting Irish Game Model Football by Wilson with the official college logo. 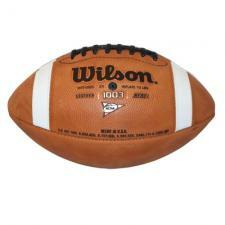 A must have item for any Notre Dame fan. The GST 1003 game ball features white leather stripes vs painted white stripes, Wilson leather with a deeper pebble and patented ACL laces which provide a better grip.